Dr. Williams joined the Plymouth State University Criminal Justice Department in 2008 after having previously taught at Bridgewater State University in Bridgewater, MA and prior to that at Northeastern University in Boston, MA. 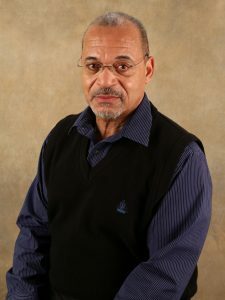 Before his entry into the academic community, Dr. Williams spent over 26 years as a practitioner in the field of Criminal Justice, which included stints working with juveniles in a number of different environs, security administration, law enforcement, 9+ years as a probation officer and as a faculty cooperative education coordinator.. His research interests include delinquency prevention programs, law enforcement strategies, race and crime, and online education. He is a member of several professional associations including the American Society of Criminology (ASC) where he serves on the Division of People of Color (DPCC); the Academy of Criminal Justice Sciences (ACJS) where he serves on the Minorities and Women section; the American Society of Sociology (ASA) and the Law and Society Association (LSA). American Sociological Association (ASA) 103rd Annual Meeting August 1-4 2008. Boston, MA. A Functionalist View of Community Policing in the Minority Community. Academy of Criminal Justice Sciences (ACJS) 45th Annual Meeting March 11-15, 2008, Active learning in an asynchronous environment for criminal justice students (Presentation ACJS Spring 2011Cincinnati, OH. Student Assistance Programs: Is loose coupling in school-based prevention an organizational pejorative? American Society of Criminology (ASC). 57th Annual Meeting. November 15-19, 2005, Toronto, Canada. Assessing Risk and Protective Factors” An analysis of the referral process in Student Assistance Programs. Massachusetts Colleges Online (MCO) 5th Conference on E-Learning Sharing Best Practices, Award for One of Best: Seminar: Online Teaching Challenges Using a Publisher Developed Course Lowell, MA June 10-11, 2008.